What’s now and what’s next for those of us raising humans and building online businesses. Learn how to grow your biz without driving your kids crazy...or losing the farm in the process. A podcast for ParentPreneurs. Are you bleeding money from SaaS fees or programs you’re no longer using? Today we talk about hidden fees and ways to release some cash flow in your business. You can but that reset button any day of the year! It doesn’t have to be New Years Day. Let’s talk about what it takes to set a new intention, ParentPreneurs. [KO] E28: Are You The Barrel Or The Bullet? 3 Steps you must have in place to avoid Action Distraction. We are talking about that today. For more information and a deeper dive into the pre-work you’ll need, visit kellyo.com/blog. Even if you’re new or don’t yet have a business in place, this podcast is for all ParentPreneurs. [KO] E25: Would YOU Say Yes To This? What if you started saying YES to everything that came across your desk? This is what happened when I did. Go for it ParentPreneurs. [KO] E24: Help! I don’t know what to sell! Selling the wrong thing to the wrong customer, I’m an expert at that. I’ve tried and failed more times...ugh. Today we’re talking about how YOU can discover your best product or service and your ideal client. Check it out! 3 Tips to keep your email out of your customer’s spam folder. Why wait until Black Friday to put your offer out there? Use these 7 tips to create an unbelievable holiday offer your customers will crave. Do you have questions about how to segment your customer list to target hungry buyers? We explain the general idea of buckets and some tips to help you move forward. For extra help, visit ParentPreneur.co. Which way will you jump, fellow ParentPreneur? We touch on it in today’s episode of KellyO Says. At the end of the day, do you really know what your client cares about? It’s not what you think. We talk about it on today’s ParentPreneur podcast. So much wrong information out there! I got on a rant to correct the story. Are ya with me ParentPreneur? It’s easy to get stuck in the DIY - do it yourself - mode to save money. Identifying when that is no longer working for you is key to your success. Check it out in today’s podcast. Parentpreneur - why didn’t I choose mompreneur or fempreneur? Is publishing for you? Some thoughts from a reluctant podcaster and what happened when I hit send. Changing things up for the great good. Stick it to them! Your employer shouldn’t be the ONLY person to benefit from your professional expertise. My take on the whole “screen free parenting debate.” I must have done something right. Technically, this is the real story of how I started selling products online. I started my first business with $500 and no college degree. Do you have forty eleven ideas running through your head? And other thoughts about this channel name. Having the confidence to KNOW the value of your product or service and HOW to help your customer will help you get through support calls...like this one haha. Check it out. What was it about this game that makes entrepreneurs like us so excited!? [KO] Episode 4: Did She Just Say That? No one says THAT about building their business! Who are you and how did you get here? A little intro into how I went from starting my first business, transitioning to online marketing and now consulting. It’s a fun ride! [KO] Episode 1: Here We Go! 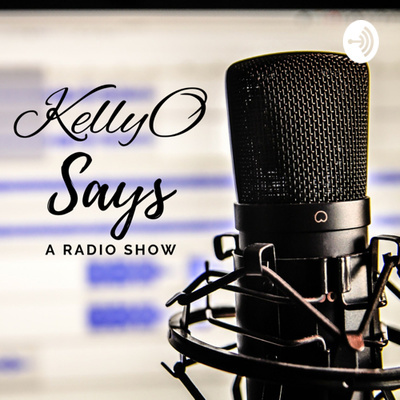 The best and most embarrassing things happen when someone says, Hey Kelly, I challenge you to....and now I have a podcast channel.